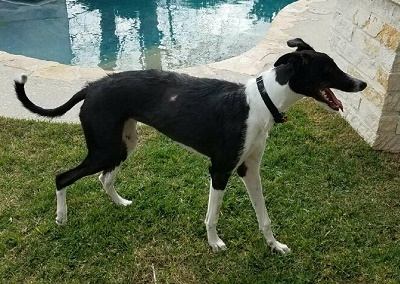 Destiny is a one year old black and white female deerhound born March 26, 2016. She was adopted and lived with a family but due to life changes they were not able to keep her. She is a sweet loving and happy girl. It is not known at this time if Destiny is cat tolerant, but she has lived with small dogs.